Mr Muhammad Tasury Fadly or recognised as "Pak Alex Afdhal" is CEO of Borneo Access Adventurer. 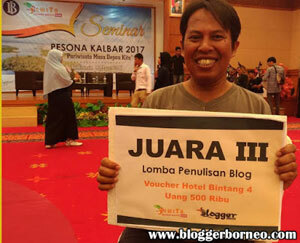 he have been working as tourist since 1994 in Indonesian Borneo, or Kalimantan. He offer visitors first hand access to both pristine jungle wilderness and numerous indigenous villages. 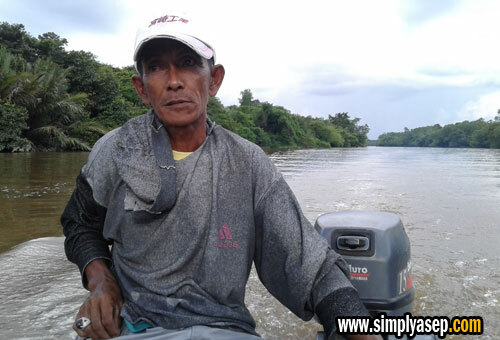 While the Borneo Access Adventurer is his own company which have been specially designed as a tour operator that serves tour and Adventure activities managed owned by him, a knowledgeable person as an active tourist guide of 16 years experienced. The Borneo Access Adventure is the only access for those seeking wildlife, Kalimantan’s raw wilderness that offers numerous possibilities. With protected orangutan sanctuaries and large swaths of virgin rain forests teaming with life, Borneo Kalimantan, Indonesian is a nature enthusiast’s paradise. In 30th of April, Mr Alex contacted me on the phone to take care of his two visitors from abroad while he was still in Kuala Lumpur , Malaysia. 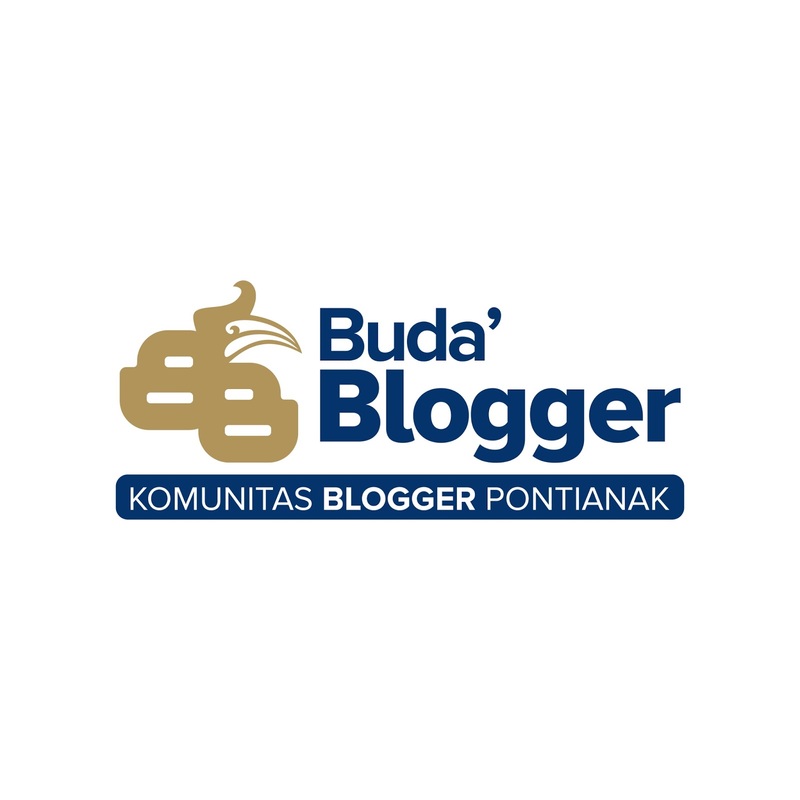 They were Mr John from Canada, and Miss Jen from Manila, the Philippines whose bigger dreams to enjoy monkey watching in the near of Pontianak city. They have chosen full day tour long island Pontianak adventure package available on borneo access adventurer page. This is the complete stories. Enjoy. 06.49 : I picked them up at HARRIS Hotel Pontianak located in the center of Pontianak's business and culinary districts, it is also a 25-minute drive from Supadio International Airport and its location provides easy access to the Ayani Mega Mall , The Dayak Longhouse , Mujahiddin Mosque , Pontianak Convention Centre , Governor Office Of West Kalimantan, and also the State of Museum of West Kalimantan. "Hello my name is Asep from Borneo Access Adventurer" I said to the big tall and white guy Mr John as my first introduction. "Hello too I am Jhon from Canada" said John. "Hi I am Jen from The Philipphines, Manila" said Jen. From my point of view the big guy is very easy to recognise as we call him "orang bule" while his female counterpart Miss Jen is really fooling me. I thought she was Indonesian as her face is really asian style and really looks like Indonesian. "No no, I am from Manila, the Philippines" said Jen firmly. OMG, her face is really familiar with me, really look like Indonesian. Both of the tourists did not speak Indonesia. I was not sure about this , but I trusted them to say so. 07.45 : John and Jenn were taken to the nearest traditional market, Flamboyan" located in Jalan Gajah Mada, exactly in front of the Pontianak Post Daily Newspaper building. Our taxi driver , bang Tono, was ready to take the tree of us to go anywhere according to the itinerary of the tour packaged they have chosen. From the gate of the traditional market, we were crawling and watching Pontianak people doing their daily activities, bargaining, selling, and buying. They became center of attention of the people in the market when they took selfie picture amongs them. 09.10 : They visited two major famous tourism destinations Keraton Kadariyah (Kadariah Palace) and Masjid Sutan Syarif Abdurrahman or Masjid Jamik in Seberang territory Pontianak. Unfortunately the Kadariyah Palace has been closed for 40 days during the condolences period of the last Sultan Syarif Abubakar bin Syarif Mahmud bin Sultan Syarif Muhammad Alkadrie which passed away at the age of 73. "We came here was still iin the day of 25th so the Kadariyah Palace was still closed and in the mourning moments and they officially open to the public again about in May 11st" I explained to John. "Okay" said John. 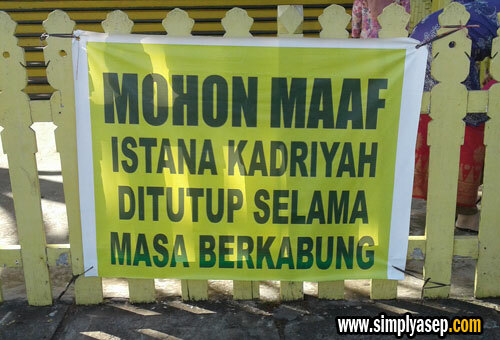 The Next visit is Masjid Jamik. Due to the taxi cannot get enough spaces around the mosque, so Bang Tono, driver, decided to park his cab in the area of the Kadaryah Place. "We could walk to the mosque and leave the cab here , safe and easy to find" I said to John and Jenn. We met some other visitors from Batam who also spend their times around the palace. "Please wear this sarong for the ladies " said pak Hamid, the guard of the Masjid Jamik Pontianak to remind Jenn not to enter the mosque without wearing it. Jenn is fine and ready to wear the sarong covering up from the stomach come down the leg.. "I will not be allowed to let female visitor open their aurat in the Mosque of Sultan Syarif Abdurrahman. Again John and Jen took photo together each other inside the mosque. I watched them in close range and I enjoy and admire the building of the mosque. "This mosque have built in the year of 1773, two year after the building of the Kadariyah Palace" said Hamid, local guide. "What next Asep?" asked Jenn. According to the itinerary, I remind them to leave the Mosque and ready to go Vihara, connecting to Museum Kalimantan Barat, Rumah Radank and end the first city tour by having lunch at Kartika Hotel Restaurant near the port of Senghie to take some rest before the real tour in the long island adventure trip is begun. "We will visit Souvenir shops center in Jalan Pattimura before heading to Karitka Hotel for lunch" I said to them. 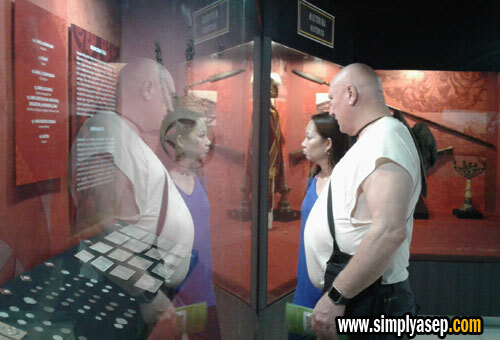 I think the local guide of the museum must be able to speak English even with very simple and easy to communicate. I saw many local pepple in the museum too, and they enjoy at the museum as they took photo in every way. The tourist love taking picture every time. They finished here at about 10.59. 11.15 : The shortest visit is at the Rumah Radank due to nothing they find in the building, and then they decided to go straight heading to the center of Souvenir Shops area in the street of Pattimura. 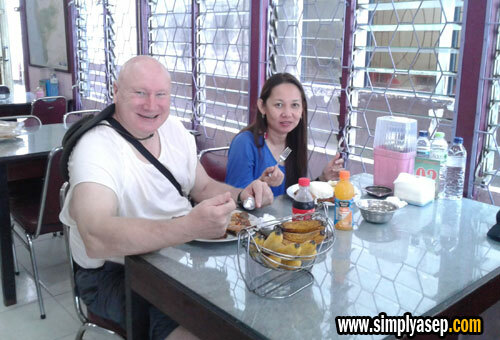 "We will heading to the souvenir shops in the corner area of the Pattimura street in Pontianak and then going to Kartika Hotel to have lunch and take some rest before the real adventure trip of the long island is begun" I said to John and Jen. "Yesss" Jen is yelling very happy. Alright then. Let's doi it. We have more fun today" I said to Jenn. 1210 : Arrived at Souvenir Shop Center in Jalan Pattimura. The taxi parked in front of a shop arpund the corner. John and Jen bought some T-shrts, bracelets, and small souvenirs from several shops there. "Please talk to theM" I said the salesma of a shop while Jen and John is bargaining the price. "I cannot speak English" said the salesman. "that is okay" said John. 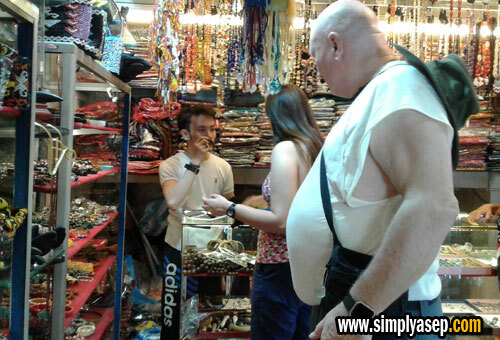 Most of the salesman of the shops are shy to use English to foreign visitors like them, and some them brave to use it. "Dont be shy" I said to the salesman. 12.35 : Arrived in a restaurant inside the Kartika Hotel. "We choose this restaurant because of the location is near to the boat we would like to use heading to the long island to begin our adventure trip through the river" I said to John and Jen. I, John and Jen are walking inside the restaurant and decided to choose to eat near the river bank. I called the waitress to provide the menu. "Oh I am sorry, we are not serving much food today, there is a wedding ceremony today at the restaurant" said the waitress. I was surprised to this fact. My calculation is totally fail. "They have nothing to eat" said Jenn. 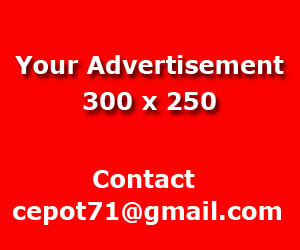 Some with very nice outfit (a manager) come to us and say something about this why happens. The manager try to provide the menu and left us and never come back again. Finally we just have coke, mineral water, and french fries only. Having paid the bill, I request permission to John and Jen for a few minutes. I have to perform Dzhuhur prays. 13.45 : I have hired a motorised canoe or local boat to take us to the long island. Pak Pilik is the only man taking us the the long island. I rang Pak Pilik to pick up at the Kartika Hotel as we all ready to start our trip to the equator monument before proceed to the long island. As I have planned before, before the long island adventure trip is begun, we visited the equatorial monument first in Batu Layang. 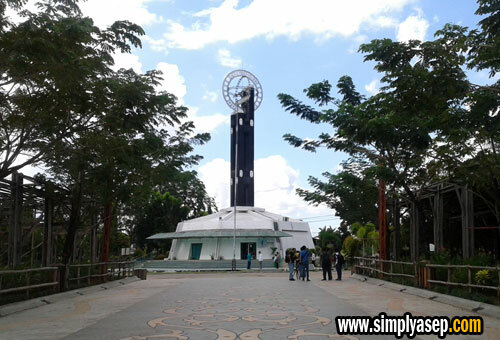 The Equator Monument actually located in Village Siantan, District of North Pontianak, Basically the monument divides the earth in exactly horizontally into the northern and southern hemisphere. This monument was very unique. The most popular of Pontianak Equator Monument. It is situated in the northern side of the City. The landmark offers typical nature where on the 21-23 of March and September, adventure tour 11:45 any standing object does not have any shadow for the sun exactly right above equator-areas. Unfortunately John and Jen did not get any certificate as proof that they ever visited the Equatorial Monument. It was a great pity that they did not have it now, I did not know " said the staff in the rest room near the tourist center around the equator monument. For your information, actually every visitors could have requested the certificate of equatorial crossing from the spot tourist center in the area. 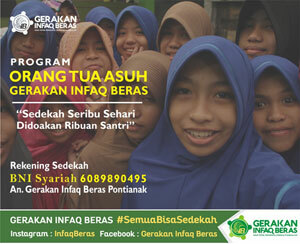 On the certificate contained a photo and signature of the Mayor of Pontianak. In he Equator Monument area there are various facilities, such as mosques, restaurants, restaurants, cafes, souvenir shops, spacious parking area and safe, and the guesthouse and hotels with various types. I took picture with John anyway. Thank you Jen for taking this awesome picture as memento during they were here in West Kalimantan. 14.14 : Do you know what the Long Island adventure trip is about?. According to our itinerary, the Long Island Pontianak Tour is tour combines Nature Wetland, and Culture of the Suburban River Life. The Long Island offers beauty of scenery, bird watching and monkey watching and boat riding. It is reachable 45 minutes by motorised canoe. The culture of the river live offer local culture of the people on the Kapuas River banks that offers friendliness of local community. Photo taking means something special for the local people many time will asking you if you do not mind to picture with them. Adventure tour is actually conducted about 2:45 the Long Island Adventure trip is begun. As matter of fact we went there too early. Its about one and half hour earlier than the normal time the monkey was coming out. Our canoe stop in the area of the forest in the area of the Long Island, and found nothing to see. "What we do now, nothing here, no monkey is coming out" said Jen. "The monkey coming put especially in the afternoon by the waymm and we came here to early" saat Pak Tilik. "just wait for the sunset, Insya Allah you will find them" . 17.40 : Pak Tilik broght us to the hotel. We decied to return home. The sunset arround the river was really beauiful. 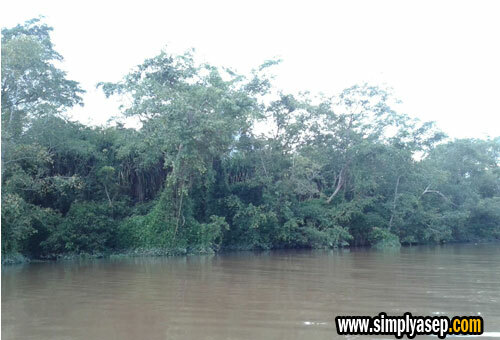 It offers the scenery of Pontianak from the river. Jen and John often looked and saying hi to people on small canoe conducting traditional fishing. By Adzan Magrib, finally we reached Karika Hotel, and the taxi driver has been waiting for us. We returned to the Harris Hotel where the guest were staying. We were saying goodbye for today's adventure. John and Jen were having meals at Kentucky Friend Chicken at Jalan Gajah Mada near the hotel. He is experiences in conducting adventure tour up to the first hand both pristine jungle wilderness and numerous cultural tours into indigenous villages. Lacking a large tourist infrastructure, Kalimantan, gives visitors the rare opportunity to experience both nature and local communities at their own pace, with their own schedule and on their own budget. For those interested in cultural matters, he affords the opportunity to visit traditional communities rarely visited by the outside world. He offer tours range from simple overnight visits to a traditional Dayak Longhouse up to multi day treks through off the bitten rainforest, coast to coast adventures across the Borneo, regardless of your travel style, interests, and budget. 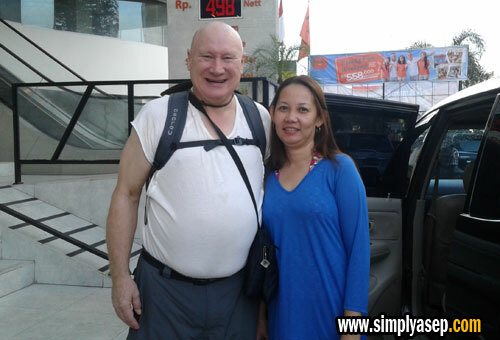 He is confident that he can put together your ultimate tour and adventure. In the hotel liner, he has experience; receptionist, supervisor, front office manager, and the top position General Manager of star class hotel. Based on those experiences, Borneo Access Adventurer confidently promotes Alex into the position as CEO of the company.